PHUKET: Banyad Horpetch, an officer from the Patong Municipality Sanitation Division, went to inspect Merlin Beach in Patong on Wednesday (Apr 10) after a complaint was made by a woman who posted a video on Facebook showing black water flowing onto the beach and into the sea. The woman, who asked not to be named, contacted The Phuket News voicing her concerns about the wastewater which she said she had seen many times. “It doesn’t flow onto the beach all the time but it does so very often,” she said. This can't be a good thing, for a family friendly resort. Lucky Big Joke has gone. He'd probably have had a press conference by now, with some Africans he'd just arrested, blaming them for the situation. Black water to brown envelopes. If you read the link, you'd find this. 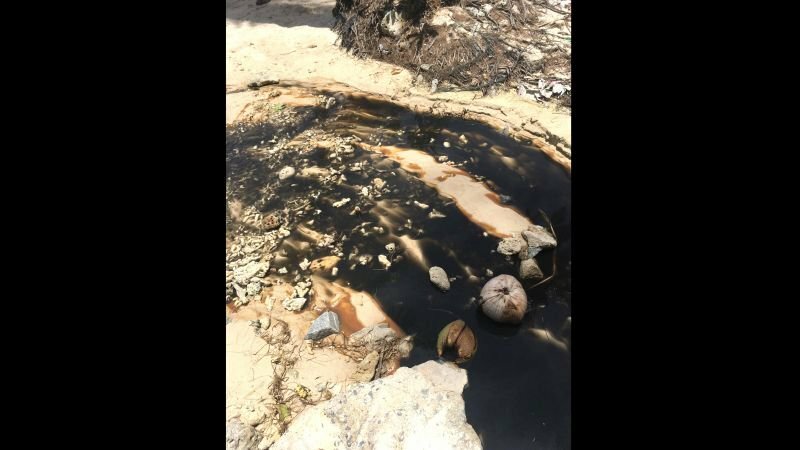 "On Thursday at 9am, I went to inspect Merlin Beach again and found water similar in colour to Ovaltine flowing from another pipe which is located in the same area. I think the wastewater flows from this pipe,” he said. “I’ve not been able to find the source of the wastewater yet, so for now, I decided to block the pipe with concrete to stop the water from flowing onto the beach." A great stop gap measure(!) sure to gain the attention of the despoilers. Soon we will know the source of the liquid. I decided to block the pipe with concrete to stop the water from flowing onto the beach." Similar to replacing a blown fuse with a six-inch nail. Switch on, and the area with the fault will either explode or catch fire. I'll be interested to see the outcome of this story. Go take a look at the klong behind club med at Kata beach. It's got floating waste and stinks really bad. Tourists just walk by it, what must they think? I've never seen water so black. I'll never swim at Phuket beaches again. It's Songkran I can't be bothered with sewage now. Like give time for the brown envelopes to show up before he figures it out. Ovaltine? Isn't this slander? Or can I say it looks like pra____? Black-water, a euphemism for sewage in Thailand.